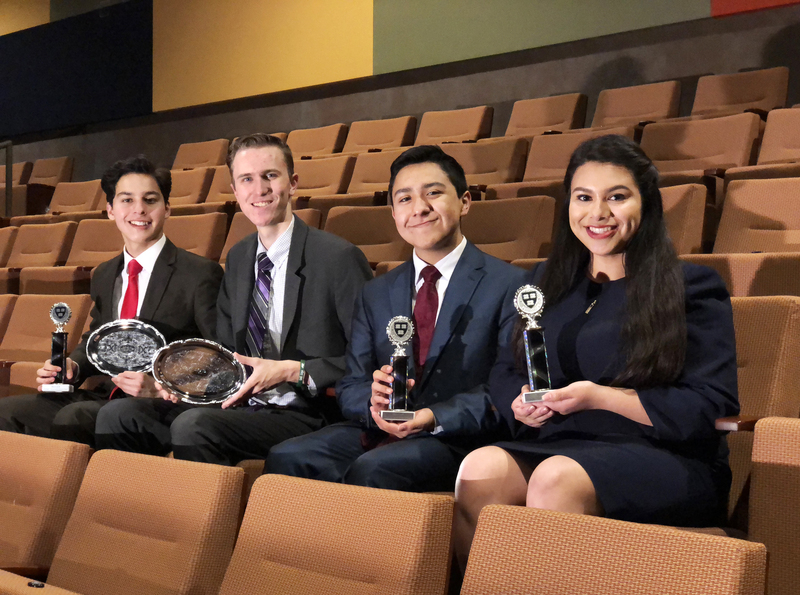 High-school speech and debate teams participated in the Harvard Invitational Speech and Debate Tournament held Feb. 16-20. Several students advanced in their respective areas. Harlingen High School and Harlingen High School South had a great performance at the tournament. Samantha Lopez (HHS) advanced to the top 64 out of 298 entries in Dramatic Interpretation. James Gracia (HHSS) advanced to the top 24 out of 298 entries in Dramatic Interpretation. James also placed 7th out of 241 entries in Program Oral Interpretation. Joseph Decilios (HHSS) advanced to the top 32 out of 182 entries. Grant Burbach (HHS) advanced to the final round of Congressional Debate and placed 13th out of 440 entries.